Church Staff - Good Shepherd L.C. Pastor Seelow has served the saints at Good Shepherd Lutheran in Kearney since August 2014. Pastor Seelow attended Luther Preparatory School in Watertown, WI. Upon graduation, Pastor Seelow continued his education at Martin Luther College in New Ulm, MN, pursuing an Arts degree in Pastoral Studies. He was graduated in 2003 and the following fall enrolled at Wisconsin Lutheran Seminary in Mequon, WI. During his time at the Seminary, he vicared (interned) in Eagle River, WI at Christ Lutheran Church and in Phelps, WI at St. John's Lutheran Church. 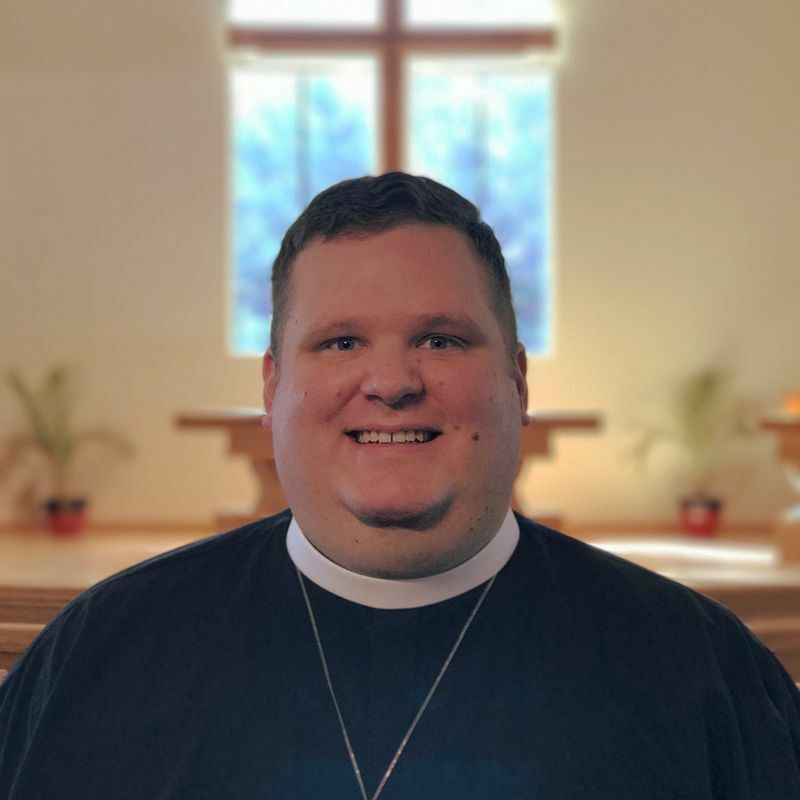 After graduation from the seminary in 2007, Pastor Seelow was assigned to Great Plains Lutheran High School in Watertown, SD as a dormitory supervisor and instructor. In 2010, Great Plains Lutheran issued a full-time instructor call to Pastor Seelow. During his tenure at Great Plains, Pastor Seelow also pursued a Master's Degree in Education at his alma mater, Martin Luther College. He graduated with honors in 2013. In addition to daily and weekly parish duties, Pastor Seelow also serves as Coordinator of the Worship Board of the Nebraska District of the WELS, as the secretary of the Eastern Conference of the Nebraska District, as a member of the Handbook Committee of the WELS Hymnal Project, as a contributor to an online daily devotion catalogue, and as a semi-regular presenter at Return to Wittenberg. During his time in Watertown, Pastor Seelow also met and married his wife, Megan. They were married in 2012, and have been blessed with the gift of three children: two sons, Judah and Ezra, and a daughter, Hadassah.